The past two weeks were pretty slow for sales, probably because of the post holiday lull. However, I made enough to just inch past my goal of 20k for the year. I’m pretty happy with that achievement! One of my hopes is that this blog inspires people to try picking themselves, either on a casual basis or perhaps even as a job. While 20k isn’t really a ton of money, it’s comfortably above the Canadian poverty line which is approximately 18k. I expect I could make a lot more too if I focused all my energies on picking and listing. Regardless, I think I’ve shown that it’s possible to earn a living from my specific type of scavenging. One doesn’t need to go full out to enjoy the benefits trash picking, however. My first trash runs were just me walking around my neighbourhood on trash night. It was a nice way get some exercise and clear my thoughts while finding things to decorate my apartment with. I’m sure many people can benefit from “garbage therapy.” At the very least it’s a great reason to get out for a walk, bike ride, or drive, and anyone eyeing the curbs is bound to find something cool at some point. One piece of advice: for best results, don’t be afraid to open those black trash bags! My goal for 2016 will be to make 24 thousand dollars. It’s an ambitious but achievable target. I learned a lot about time management and organization in 2015, and I thinking improvements in those skills will help make 2016 my best year yet. And now, without further ado my most recent sales! 1. 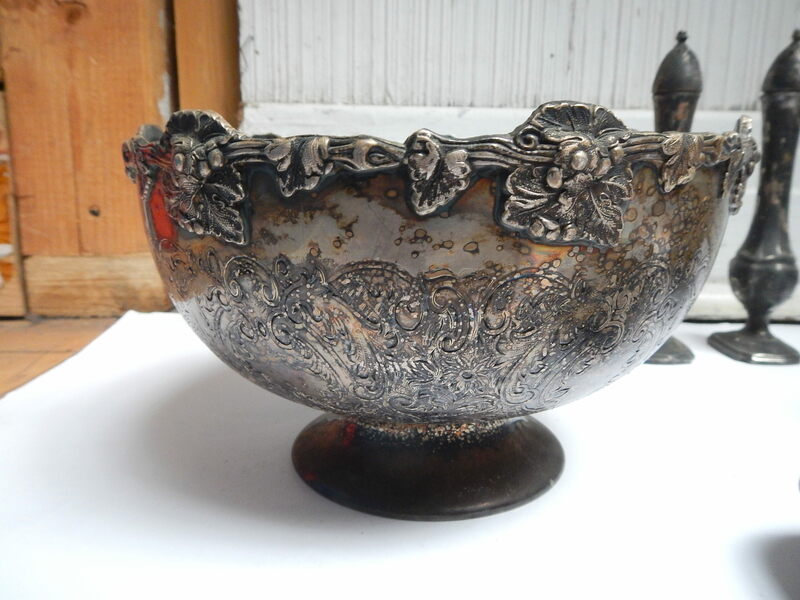 Rideau Plate bowl: On eBay for 53$. This was one of my oldest listings and I’m glad to see it go. Found nearly two years ago in NDG. For the record, this picture shows how it looked when I found it – I cleaned off the tarnish before listing it online. 2. 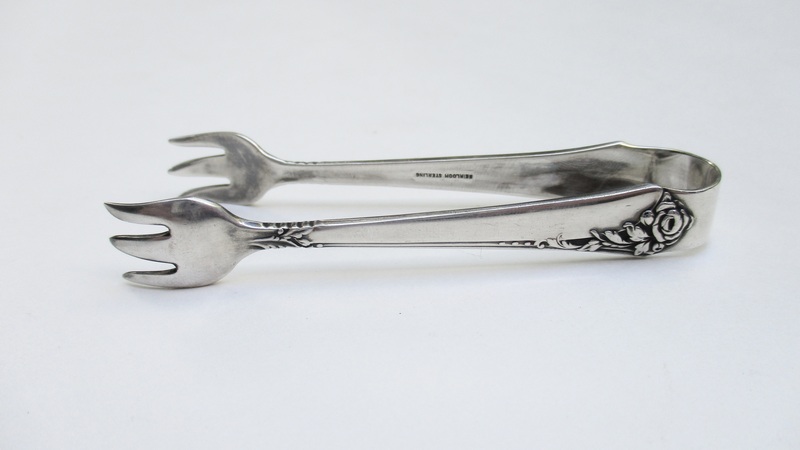 Sterling silver tongs: On eBay for 45$. Found May 2015 in Cote-des-Neiges. 3. 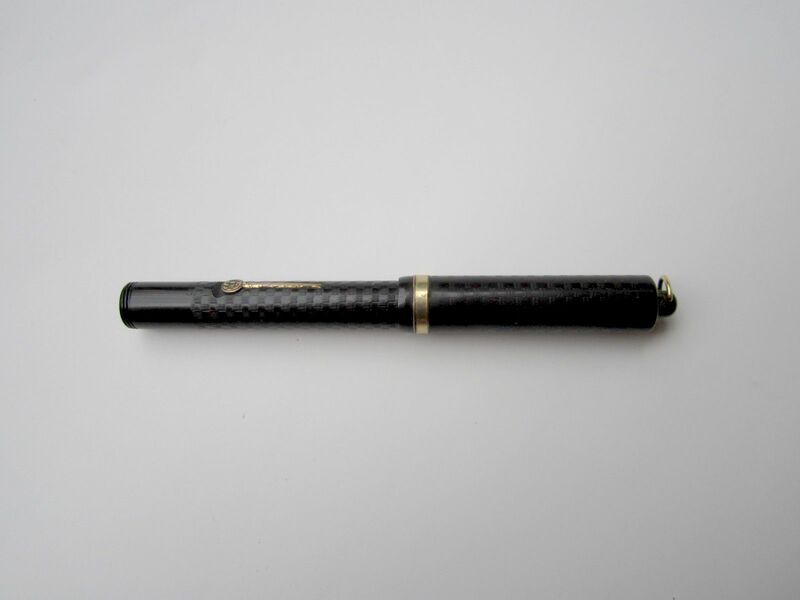 Vintage Conway Stewart fountain pen, 14k gold nib: On eBay for 50$. Found around a month ago in Mount Royal. 4. 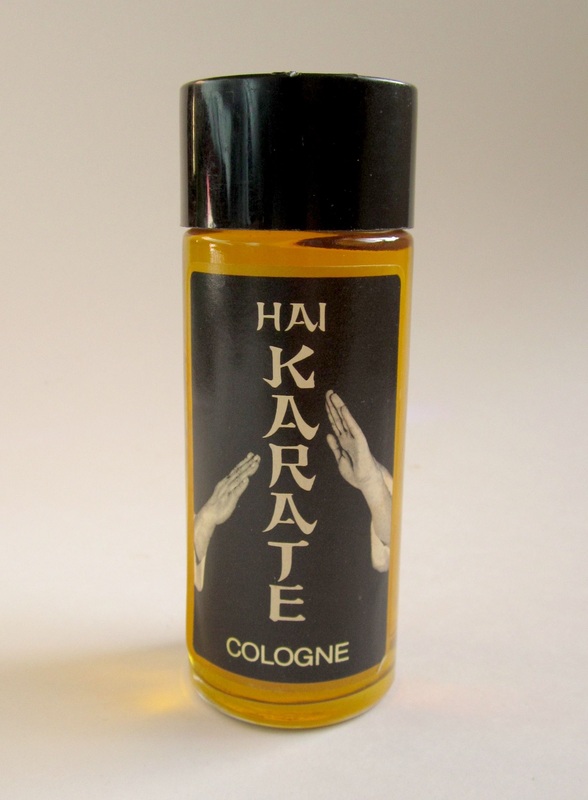 1960s Hai Karate cologne: On eBay for 75$. It seems there’s a decent market for these scents. Apparently the marketing was memorable back in the day – here’s a link to one of their old ads, which I personally find a bit bizarre! Found a couple summers ago in the Plateau, but not listed until recently. 5. 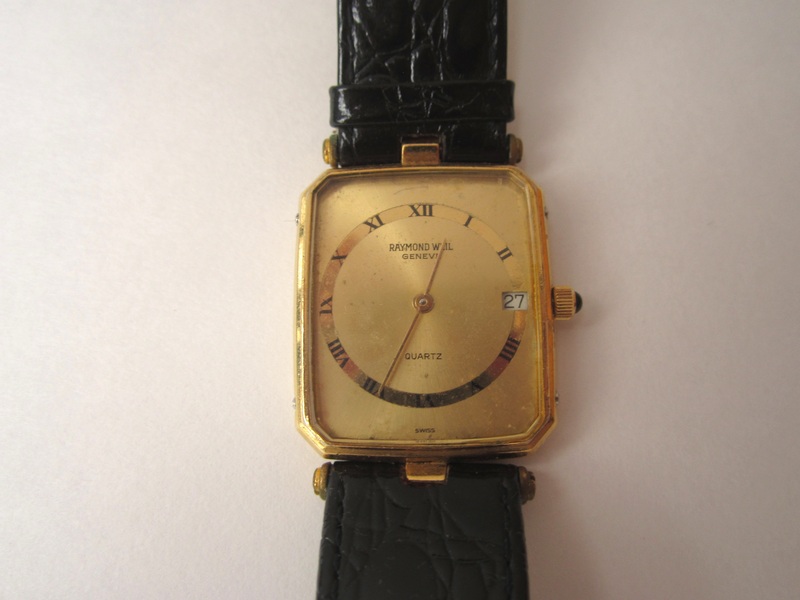 Raymond Weil watch for repair: On eBay for 25$. Found in Hampstead sometime this summer. Total: 248$, 148$ since the new year. So happy you met your goal for 2015! Really enjoy reading about your finds & the various sales. Colour me old. I remember Hai Karate ads. They were kind of funny (even funnier now), and so very much a part of the era. Wow … and the value has gone way up! Good luck in 2016 Martin..I’m sure you can beat your goal. You’ve stepped out of your comfort zone this year and it’s paid off. Hang in there ! Love reading about all your adventures! Best of luck in 2016 to you. I appreciate your finding & rescuing this great stuff from a landfill. I celebrate your goal being met. That means it’s possible to do well at picking and learn important lessons about history and popculture such as the Hai Karate bottle. Wasn’t there a Hai Karate Lime scent? Maybe I’m mixing it up with another old men’s cologne! There was a lime scent, “oriental lime” to be specific. I actually have a bottle of it for sale, ha ha. Found it in the same place as the other. Another great, inspiring post!!! Thank you for sharing. I echo everyone else above in writing that I am confident you will meet or even surpass your 2016 goal. I’m so glad to have found your site. I used to live in Montreal – just east of Westmount on Atwater. I did a tiny amount of scavenging, mostly just in the recycling and trash of my own apartment building. I couldn’t believe some of the stuff I found was in the trash. And then of course Moving Day! Maybe there’s something to the mindset of folks in Montreal that makes them discard valuable things? I certainly never see anything very interesting on the sides of the roads where I live in the States now. Anyway, I really enjoy your site. It makes me nostalgic in a good way. Glad you like it! That’s a nice neighbourhood you used to live in… lots of good trash there. I tend to think Montrealer’s toss things on about an average basis. You might have seen more of it because the buildings in those areas are relatively wealthy, and many of the occupants are students who only stay here for a short time (and who are often well-to-do). I remember Hai Karate. There was also a fragrance called Canoe about in the same era, and about as corny! https://www.youtube.com/watch?v=TH3Ya2rpsdY Glad you met your goal, so best wishes in the new year! Good luck with the 24K goal! I like the idea. Maybe I’ll see how much they cost. I’m not sure though if vlogging is my best medium though. My best bet might be to keep on writing, and eventually get a book out there (which will be easier since I’ve had all this practice writing!). But I could always try the GoPro and see what kind of footage it takes. I don’t really watch though, because other people’s finds mostly make me jealous ha ha. I like the sound of Nancy’s suggestion.